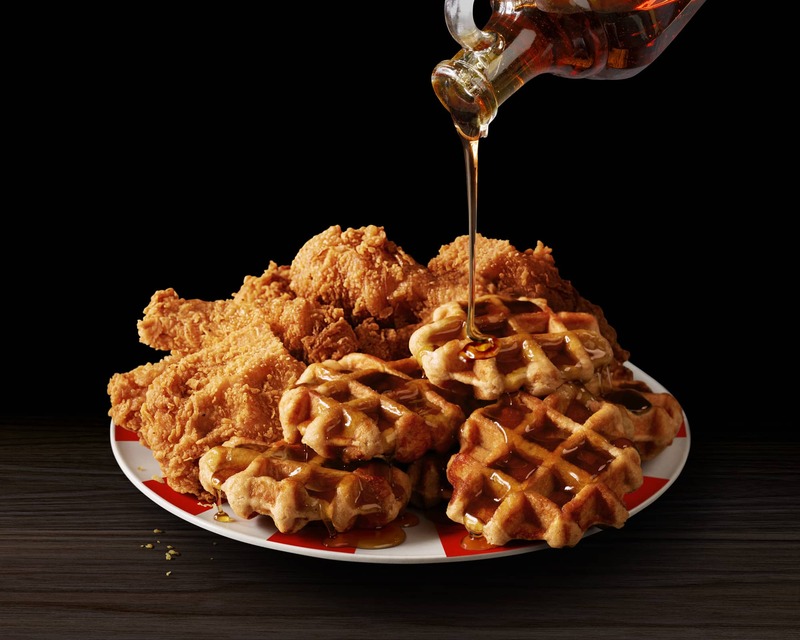 KFC's debut of Chicken & Waffles at the end of 2018 was one of their most successful limited-time offerings of all time. Some restaurants ran out in as little as two weeks due the high demand. With that in mind, the fried chicken empire chose to make this item their fastest ever to return back to stores nationwide. Their relaunch, happening just four months after the initial release, is literally bigger than before. In this limited-time drop of the Chicken & Waffles, KFC chose to bring a larger size of their platter to the table. This new offering, called the Big Basket, consists of two Belgian-style liege waffles and your choice of four tenders, three pieces of dark meat, or two pieces of white meat. It'll be sold for $7.99. The other options from last time, including the smaller platter variation and the Chicken & Waffles sandwich, will also be back on the menu. A standard basket consists of one waffle and any of the above chicken piece offerings (just with one less piece each), while the sandwich uses two waffles as the "buns." All of these Chicken & Waffles offerings will be available from March 23rd until either April 29th or stores sell out, whichever comes first.